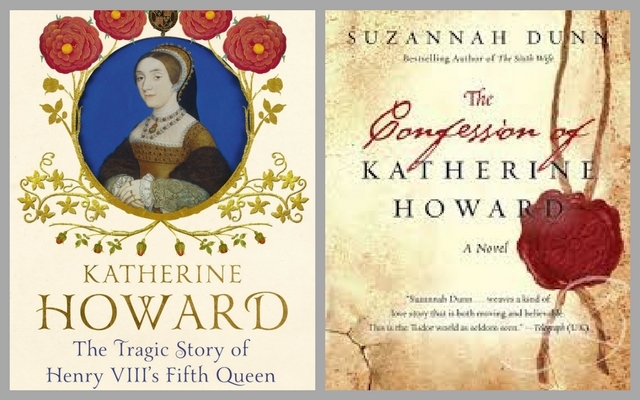 Along the way I’ve discovered that Katheryn Howard had a more interesting life than I had expected – very similar to what happened when I researched Jane Seymour. Once you go back and learn about Katheryn’s childhood, and understand her relationship with men, it gives you a better idea of how she got herself into hot water later on. She was too young to be queen – her lack of education and her immaturity were what made her reckless. I fear that even if she had only been a lady-in-waiting at court that she would have eventually created drama. As we’ve discovered so far it seemed to be in her nature. Miss the first three parts? Listen now! In Part Three of this series we ended with some of those closest to Katheryn Howard being interrogated. Things were not looking good. We hadn’t even started with Katheryn’s confessions, yet. The dukes of Norfolk and Suffolk had returned to court to take part in private meetings regarding the investigation. Nobody at court realized it was all about the queen. At this point in time Katheryn had no idea what was happening. She was confined to her rooms and she no longer got word on the activity at court. There was no more music and dancing as there always had been. She also realized it had been forever since she saw her brother Charles, who had been a staple at court, and even a secret love interest for the King’s niece, Margaret Douglas. Little did Katheryn know but her brother had been banished from court – without reason. On the very day that King Henry wept after hearing the evidence against his wife, Katheryn had begun to understand what was happening around her. The Archbishop of Canterbury, Thomas Cranmer, informed Katheryn that she was to meet with a delegation of men to discuss a topic that had been brought to their attention – her possible pre-contract with Francis Dereham. You may wonder what Katheryn’s reaction to this would have been, well, she was defiant, denied everything and refused to talk about it. The men left but it was Archbishop Cranmer who came back several times in the next 24 hours to get a confession out of Queen Katheryn. Cranmer appears to have been a rather likeable guy. People seemed to trust him, maybe it was his comforting brown eyes that pulled one in and made them relaxed enough to tell their deepest secrets. 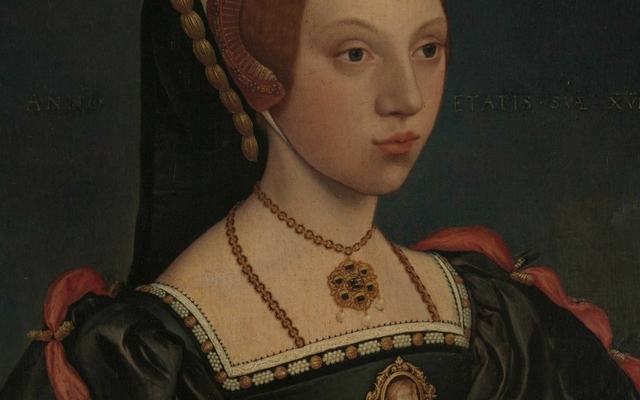 But Cranmer had his work cut out for him with Katheryn – her mood swings were out of control, to the point of hysteria and Cranmer needed the right approach. In her second confession she was much less dramatic in delivery but still denied a pre-contract with Dereham. She admitted that he talked about marrying her but that she didn’t believe she had ever agreed to it, and never spoke of it. When she spoke of the carnal knowledge between herself and Derham she didn’t come right out and say, yes, we slept together, many times. She beat around the bush, so to speak, and said that many times he laid with her, sometimes with his doublet and hose and a few times naked, but not so naked that he was completely naked…he may have had his hose pulled down. That seems pretty naked to me, but I believe she was trying to minimize what had happened between them. Most things in Katheryn’s confessions sound like she was desperate not to look guilty. She also wasn’t afraid to throw everyone under the bus to save herself. She even changed her story – she now stated that Dereham took her against her will and that she was not a willing participant. In the next letter that Katheryn wrote to the King she admitted her faults and looked for forgiveness, or maybe leniency. In the letter she says, “Now the whole truth being declared unto Your Majesty, I most humbly beseech you to consider the subtle persuasions of young men and the ignorance and frailness of young women. I was so desirous to be taken unto your Grace’s favor , and so blinded by desire of worldly glory that I could not, nor had grace to consider how great a fault it was to conceal my former faults from your Majesty, considering that I intended ever during my life to be faithful and true unto your Majesty ever after.” From this letter we can see that Katheryn was merely talking about her time as a ward in the dowager duchess’ home, nothing to do with Culpeper…yet. She left her fate in the King’s hands. The Queen’s normally noisy apartments were noisy no more. 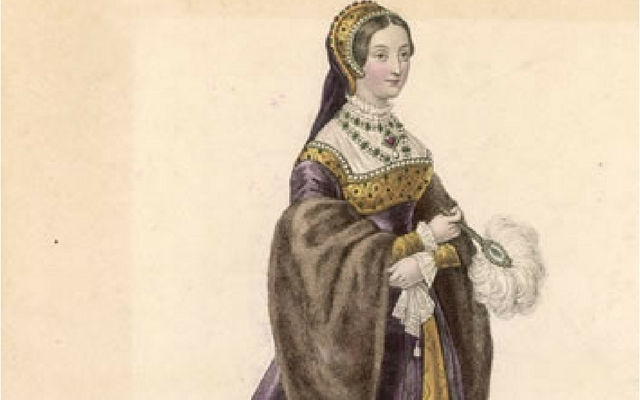 While she still had her staff on hand to assist her she was still favoring Jane Boleyn, Lady Rochford, above all others…after all, she knew all her secrets about Culpeper. Rochford promised “to be torn with wild horses” rather than betray the Queen. Unfortunately, Katheryn was not so loyal. When the opportunity presented itself she threw Rochford under the bus to make herself look like the victim. A couple of days later there were discussions on when to remove the Queen’s staff from her service. Katheryn was ordered to be sent to Syon Abbey where she would’ve been given the respect and service required of a queen. 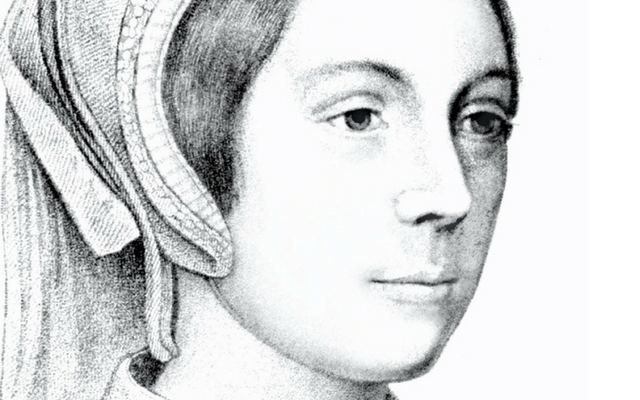 The Privy Council noted that “she shall have four gentlewomen and two chamberers at her choice, save that my lady Baynton shall be one, whose husband shall have the government of the whole house and be associated with the Almoner.” Katheryn’s half-sister, Isabel Leigh was Lady Bayton, and would be there until the end. 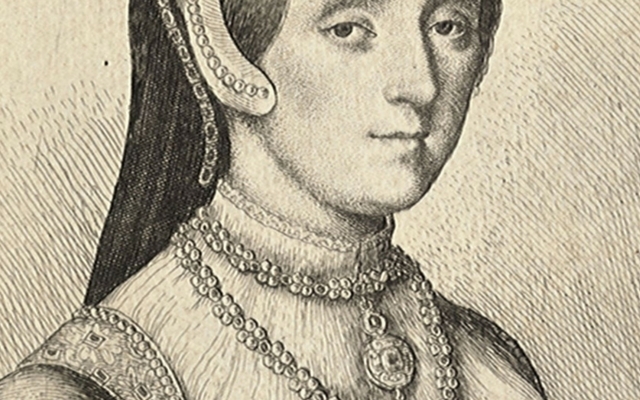 Some have suggested that Isabel and her husband may have sent reports of the Queen’s behavior back to the Privy Council, because Isabel was later granted land by Henry VIII, for unknown reasons. The gift is deemed suspicious because it was unusual for a family member of one under suspicion to receive gifts – Katheryn’s brother was merely sent away and banished from court – he received no land. The question remains, why would Isabel receive a gift when all others in her family were disgraced? It wasn’t long before Francis Dereham was desperate to make himself look more innocent – in order to clear his name or receive a more lenient punishment, he told the men that Thomas Culpeper had succeeded him in the Queen’s affections. This statement opened a can of worms that I don’t believe any of the Council members expected. At this point, the Privy Council was only aware of her past aggressions, now they would learn what she had done since becoming queen. A few days later the Queen was visited by Cranmer, Norfolk, Southampton, Sussex, Hertford, Lord Russell and five other men of the Privy Council who quizzed her on three late night meeting she allegedly had with Thomas Culpeper during the summer progress. Katheryn responded by placing all the blame on her loyal servant, Lady Rochford. She claimed that Rochford had instigated the entire thing and wouldn’t let it be. The walls were beginning to close in around Katheryn and her naughty doings…Jane Boleyn, Katherine Tilney and Margaret Morton were some of the most important women yet to be questioned. The second night the Queen sent the rest to bed and took Tilney with her to Rochford’s chamber. Tilney was not allowed inside the room but sat in a little place with Lady Rochford’s woman and stated she could not tell who came into Lady Rochford’s chamber. Tilney also explained how she had been sent with strange messages to Lady Rochford that she knew not “how to utter them.” She also said that at recently at Hampton Court “she bade her go to the Lady Rochford and ask her when she should have the thing she promised her;” and she answered that she would bring word herself the following day. The story was beginning to unfold for those involved in the investigation. They were beginning to get a glimpse into what was happening when nobody was paying attention. On the same day that Tilney was questioned, so was Margaret Morton. Morton said that she never mistrusted Katheryn until she saw the glance the Queen gave Culpeper while at Hatfield. She claimed that the look was one that she believed there was love between the two of them. While on the summer progress, the Queen’s behavior had become more and more suspicious to the ladies that served her. It wasn’t just notes without seals and glances at young men and cryptic messages, but also the fact that she had begun to lock her bedchamber to everyone but Rochford. Lady Rochford, when examined said she had not heard or seen anything from the other end of the room when she chaperoned the Queen and Culpeper. She did, however, mention that night at Lincoln that she and the Queen were at the back door waiting for Culpeper, at 11 p.m., when one of the watchmen came with a light and locked the door. Shortly after Culpeper came in, saying he and his man had picked the lock. Rochford eventually said that she thought Culpeper had known the Queen carnally during the progress. When Thomas Culpeper was eventually interviewed he recalled both the Queen and Lady Rochford as equal partners in the crime. He claimed that he understood the late night meetings they had would not appear with the purest intent, but that he had not committed treason – he had not slept with the Queen, however, he did say that he intended and meant to do ill with her and that likewise the Queen was so minded with him. Now, you may ask, why it was considered treason to sleep with the Queen – well, the easiest answer is that it would throw a wrench in the Act of Succession. If she became pregnant there would be no way to know if the child was the King’s, or her lovers. What Culpeper admitted to was misprision of treason – he intended to commit the act but had yet to follow through. After hearing Culpeper speak, Edward Seymour, Earl of Hertford said, “That is already too much” and Thomas was sent to the Tower and his house was inventoried – a good sign that he would not be leaving the Tower other than his execution. Now, back to Lady Rochford – Rochford’s story had changed too many times for the men to know the entire truth, but when compared with the testimonies of the Queen and Culpeper they felt they had enough evidence to arrest and later convict of treason. After being placed in the Tower of London, Lady Rochford had a mental breakdown. No wonder, this was the place that those closest to her went to die. Her husband, her sister-in-law and many others she knew from court. After her mental break, Rochford was removed from her cell and placed in the care of Anne, Lady Russell at Russell house – a beautiful mansion located on the Strand. This was done because executing the insane was illegal at the time. This time at court, and in England for that matter, was a very delicate time. The council members had to keep as much secret as possible as to not embarrass England in the eyes of the governments abroad. If one of the ambassadors heard whispers of the Queen’s infidelity it would reflect poorly on King Henry as a man. Eventually, on the 22nd (some say the 23rd) of November a proclamation was made from Hampton Court that declared Katheryn stripped of her royal title as Queen – henceforth she would only be referred to as Katheryn Howard. Her counterparts, Thomas Culpeper and Francis Dereham entered their trial at the great Hall of Guildhall on the 1st of December 1541. Both men pleaded not guilty. During the trial Katheryn’s deposition was read aloud. The confession that was chosen was the one where she stated she was coerced by Dereham and that she did not have a physical relationship with Culpeper. Culpeper claimed that he did not have a physical relationship with Katheryn but that he intended and meant to do ill with her. Those words were enough to condemn him. After the jury deliberation they returned and stated that there was “sufficient and probable” evidence against the pair to warrant death. They were sentenced of treason and would be hanged, drawn and quartered because of their low status. In the end, Culpeper was guilty of planning to sleep with the Queen while Dereham was guilty of joining the Queen’s household in hope of knowing her carnally once again, and for withholding the Queen’s treasonous conduct from the authorities prior to her marriage to the King. In the meantime, while Katheryn awaited her trial, fourteen people she knew were charged with misprision of treason and sent to the Tower. They were: Agnes Tilney, dowager duchess of Norfolk, Countess of Bridgewater, Lord William Howard (and his wife), Katherine Tilney, Alice Restwold, Joan Bulmer, William Ashby, Anne Howard, Margaret Benet, Lady Malyn Tilney, Edward Waldegrave and Mary Hall, formerly Lascelles – the person who opened pandora’s box. For Culpeper, the sentence of being hanged, drawn and quartered had been commuted to beheading, whereas Dereham was not so lucky. Both men’s executions were carried out at the Tyburn gallows on the 10th of December. Portrait most likely to be Katheryn Howard, but unlabeled. 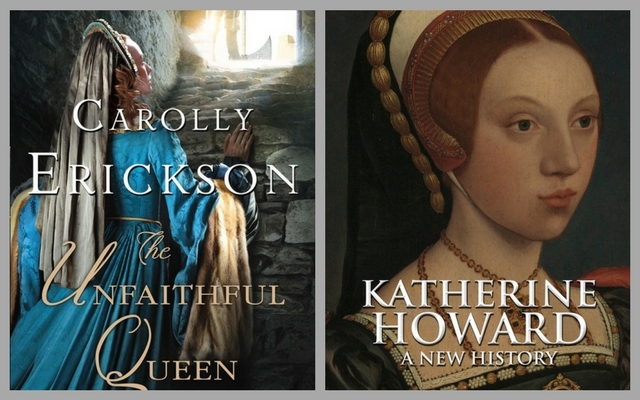 At some point after Christmas…after the King’s divorce from Katheryn was finalized, word came down from the Commons that Katheryn Howard and Jane Boleyn would be sent to the Tower. When Katheryn was informed that she would have a trial she politely declined the offer. She confessed that she was sinful and deserved death. On the 10th of February, a barge arrived at Syon Abbey to bring Katheryn to the Tower, as was expected. Also in the Tower was her partner in crime, Lady Rochford, who appeared to have regained her sanity. The night before her execution, Katheryn Howard made her final confession to a clergyman by the name of John White. She “took God and His angels to be her witnesses, upon salvation of her soul, that she was guiltless of that act of defiling the sovereign’s bed”. Afterward she requested the block be brought to her room – you see, Katheryn had heard the stories of Cromwell’s botched execution as well as Lady Salisbury’s – she wished to make sure she did everything right so her execution was swift. That night she practiced over and over again. 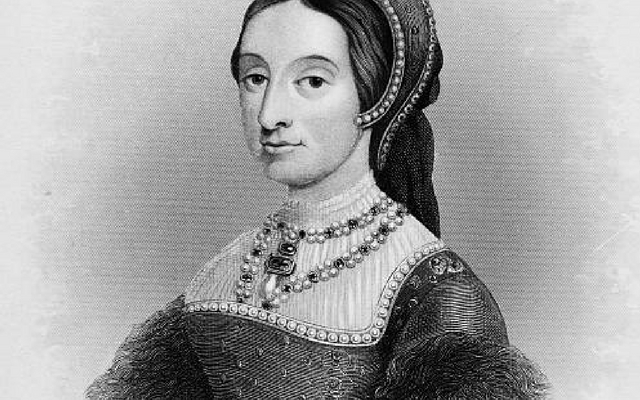 On the chilly morning of the 13th of February 1542, Katheryn was escorted to a scaffold that was on the same site as her cousin, Anne Boleyn’s in May 1536. She did not receive the private execution she had requested, but it was held within the Tower walls to reduce the number of spectators. Katheryn’s final words were not fully recorded, however, a London merchant by the name of Ottwell Johnson, reported aftewards that she died well. What IS known is that she spoke of Christ’s redemption to all who believed and urged the onlookers to learn from her mistakes. There was no talk of love, nor did she admit to being an adulterer. Her death was swift – one swing of the axe and it was all over. 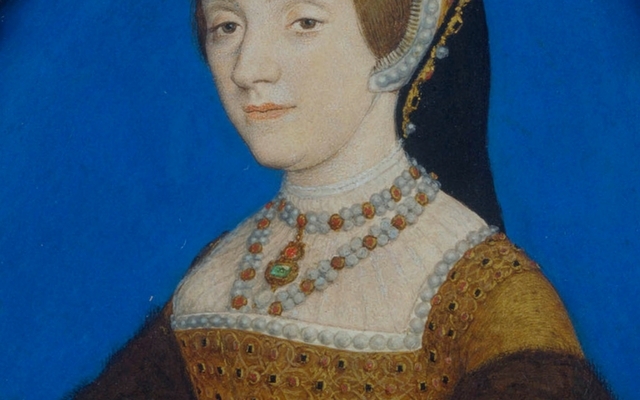 Author Gareth Russell debunks Katheryn’s final words, “I die a Queen, but I would rather die the wife of Culpeper” by pointing out that it came from a fictitious account that also claimed she was interrogated by the dead Thomas Cromwell. 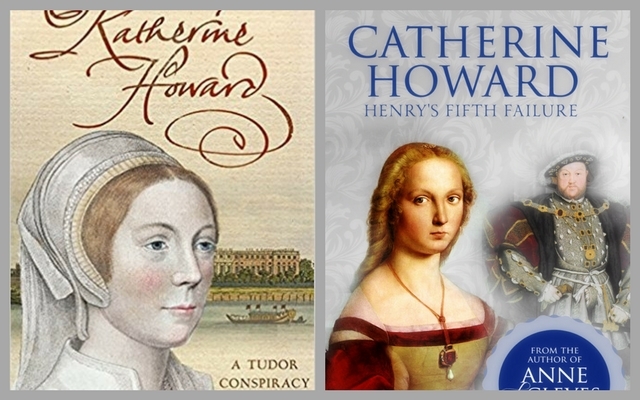 From very humble beginnings as the daughter of the not so successful Edmund Howard to her end as Queen of England. Katheryn’s life is told like a children’s story – teaching the reader to learn from the mistakes of others. As I’ve said before, Katheryn Howard was too young and too immature to be thrust into a life she was ill-prepared for. Thank you so much for joining me in this four-part series on Katheryn Howard. I’m hoping this helped to open your eyes to who Katheryn was as a person and help you understand her a little better. 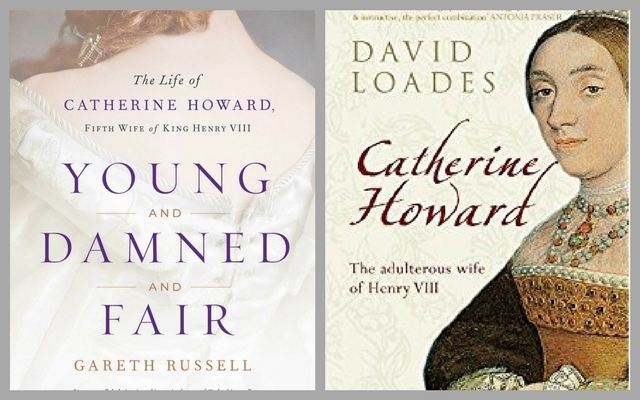 Throughout this series I’ve referenced Gareth Russell, several times – this is because I have only recently read his book from 2016 called “Young and Damned and Fair” about the life of Katheryn Howard. This book was a real eye opener for me. His research on her was so thorough that I was able to come to my own conclusion on who I believe she was. Other books out there tend to push their viewpoint on Katheryn, while I’d rather decide for myself. Wouldn’t you? ← How much do you know about Katheryn Howard?